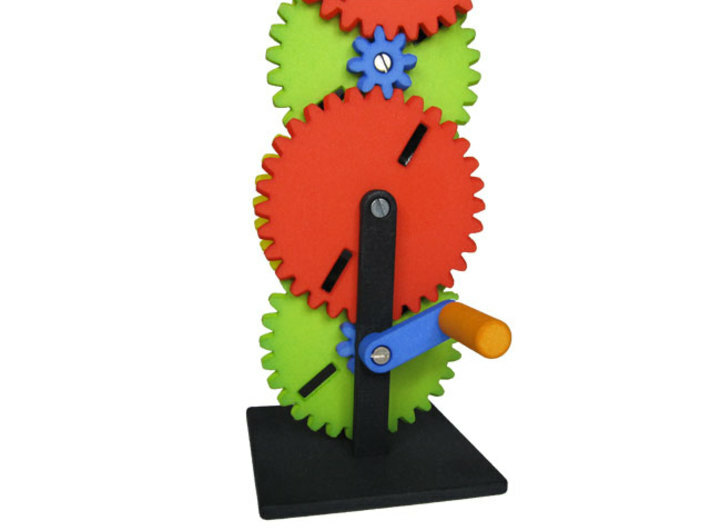 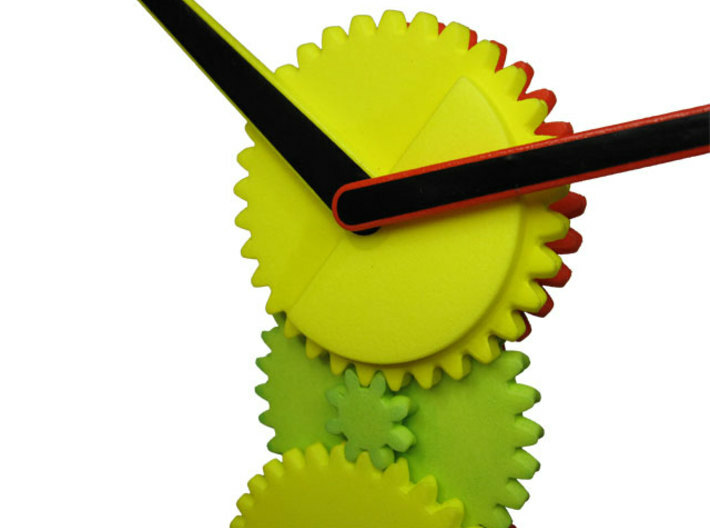 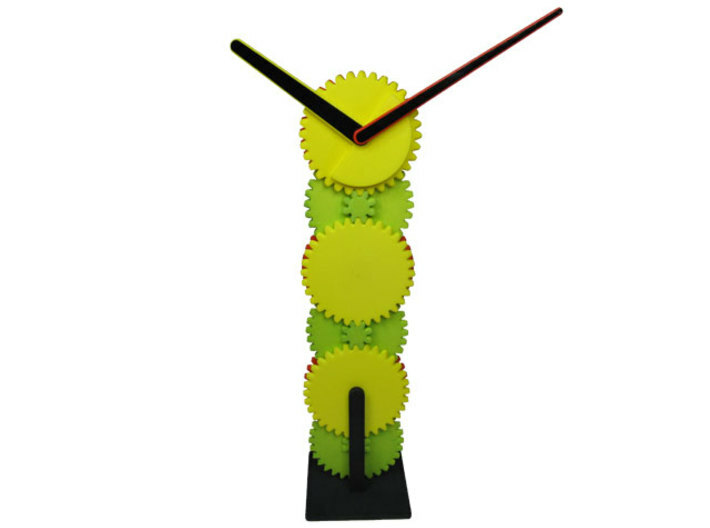 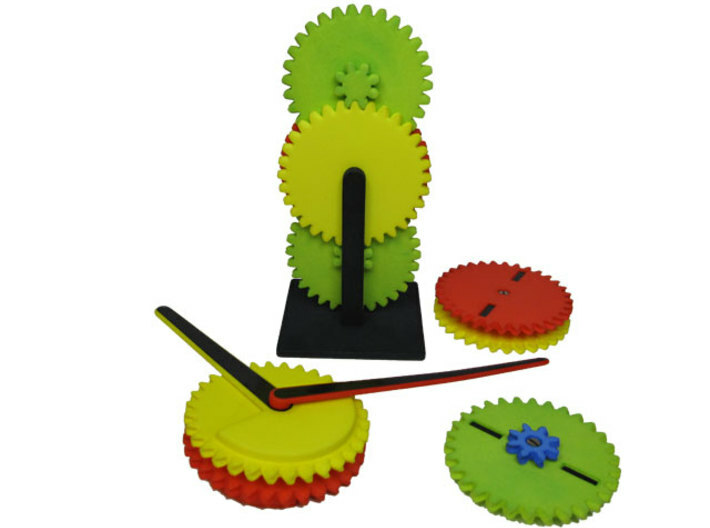 Gear Tower Clock is a clock mechanism. 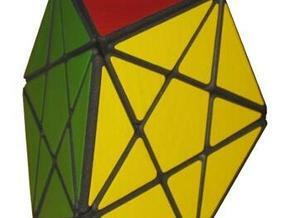 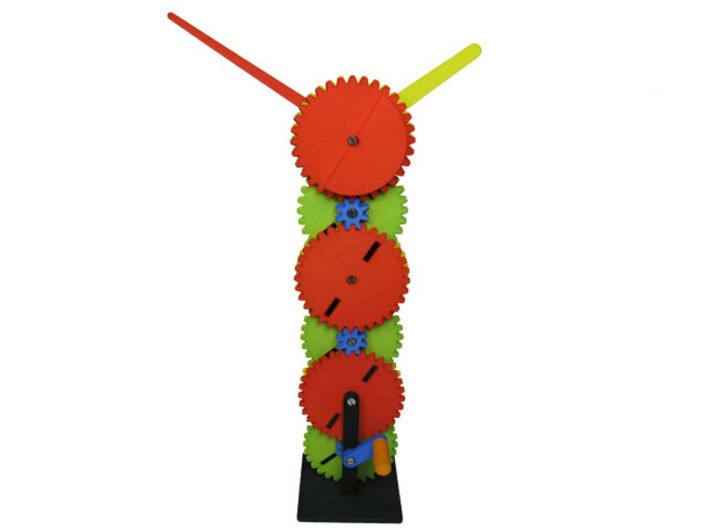 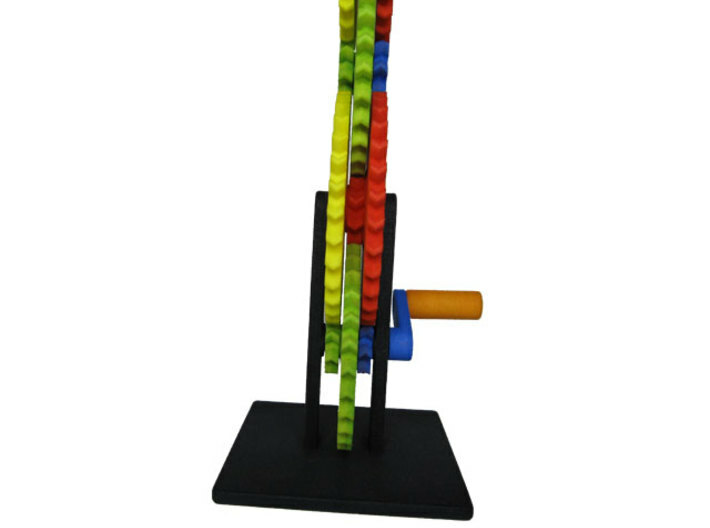 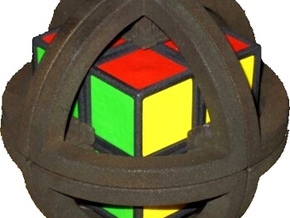 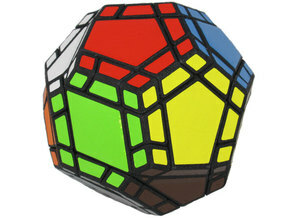 It is built as a free-standing tower of six sets of gears. 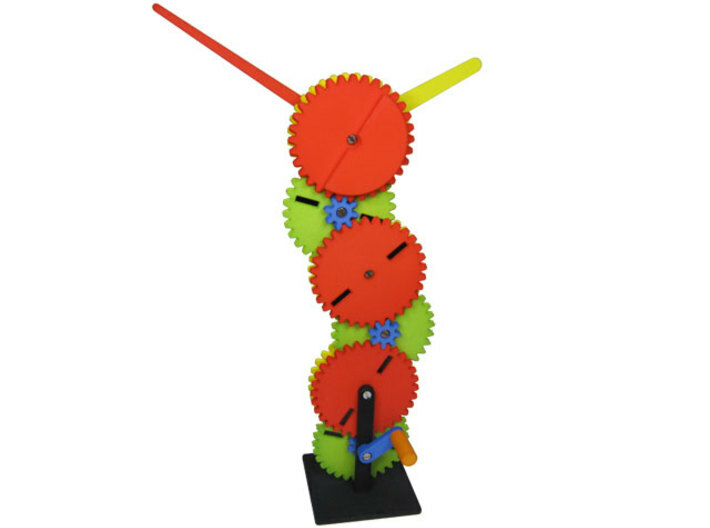 Due to some mechanical-engineering magic, the gear tower stands tall and does not topple. 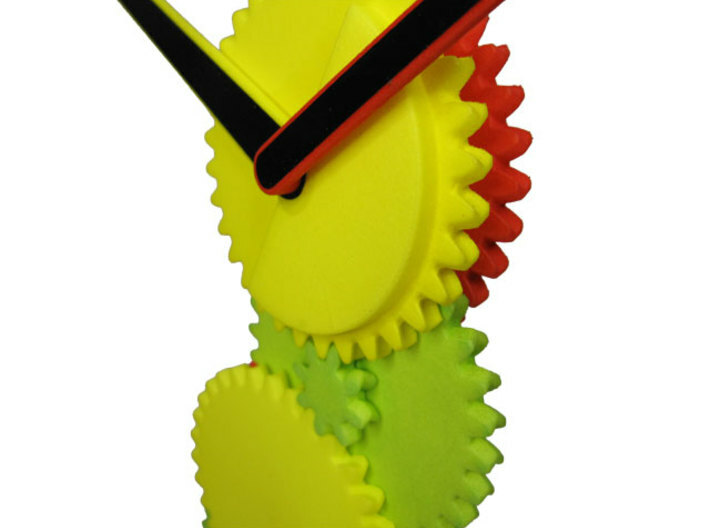 The dials of the clock can be turned with a crank. 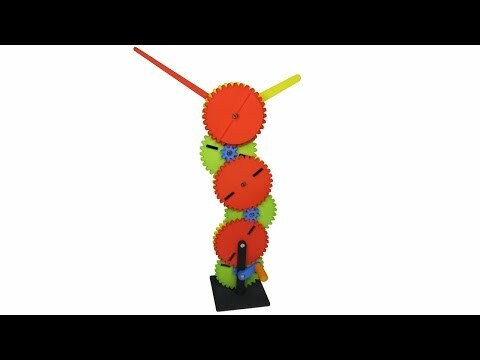 Watch the motorized version as well. 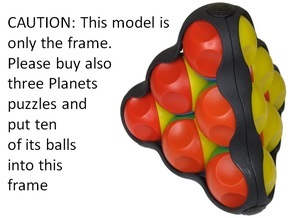 Buy the base for the motorized version. 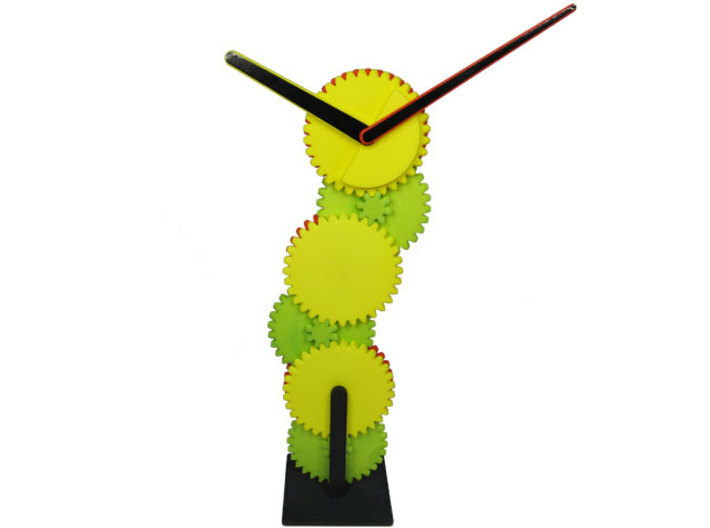 Buy the motorized version with seconds hand. 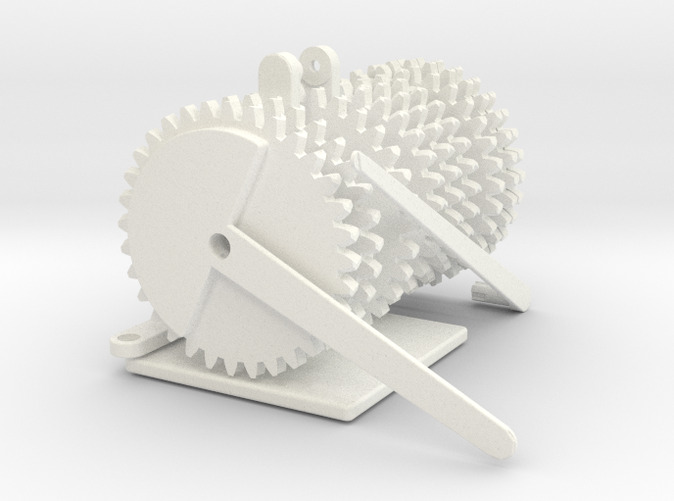 Please order a 3D-printed do-it-yourself gear kit from Shapeways at this page (check with Oskar about screws and stickers), or contact Oskar directly if you are interested in obtaining a fully colored, stickered and assembled sample of this contraption.